Priced below KBB Fair Purchase Price! CERTIFIED PRE-OWNED COVERAGE (inquire for details), Bluetooth, Hands-free, Steering Wheel Controls, Satellite Radio, 6-Speed Manual with Overdrive, Low tire pressure warning. 25/36 City/Highway MPG Odometer is 18324 miles below market average! Call us at (913) 222-5300 to schedule your test drive on this Summit White 2014 Chevrolet Cruze LS. Want to know more? Text us at (913) 215-5243 to chat about this vehicle! Oakes Auto strives to bring you the lowest prices possible, not just in the Kansas City area, but the entire United States. 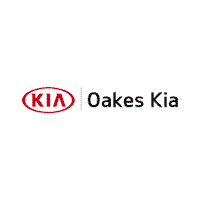 With our laid-back, quick and pain-free sales process, our high standard of customer service and our many financing options, we know you will find Oakes Auto to be a welcome change from your past experiences. All of our vehicles are reconditioned at our state-of-the-art service center and undergo a multipoint inspection to confirm they meet our expectations for our customers. Kansas City: 7301 State Ave, Kansas City, KS 66112 (913) 222-5300. Priced below KBB Fair Purchase Price! CERTIFIED PRE-OWNED COVERAGE (inquire for details), Sunroof, Steering Wheel Controls, Spacious Trunk, Portable Audio Connection, 2.0L 4-Cylinder TDI Turbocharged 140 hp, 6-Speed DSG Automatic with Tiptronic, Cold Weather Package, Heated door mirrors, Heated Front Seats, Heated Front Washer Nozzles, Low tire pressure warning. 30/42 City/Highway MPG Call us at (913) 222-5300 to schedule your test drive on this Candy White 2011 Volkswagen Golf TDI. Want to know more? Text us at (913) 215-5243 to chat about this vehicle! Oakes Auto strives to bring you the lowest prices possible, not just in the Kansas City area, but the entire United States. With our laid-back, quick and pain-free sales process, our high standard of customer service and our many financing options, we know you will find Oakes Auto to be a welcome change from your past experiences. All of our vehicles are reconditioned at our state-of-the-art service center and undergo a multipoint inspection to confirm they meet our expectations for our customers. Kansas City: 7301 State Ave, Kansas City, KS 66112 (913) 222-5300. CERTIFIED PRE-OWNED COVERAGE (inquire for details), Steering Wheel Controls, Satellite Radio, Portable Audio Connection, CD Player, Cruise Control, Keyless Entry, Power Locks, Power Windows, Remote Start, 276 Watt Amplifier, Leather Wrapped Steering Wheel, Low tire pressure warning, Power 6-Way Driver Seat, Premium Sound Group, Radio: Media Center 230 6-CD/DVD/MP3, Steering Wheel Mounted Audio Controls. Odometer is 3017 miles below market average! Call us at (913) 222-5300 to schedule your test drive on this Deep Water Blue Pearl 2010 Dodge Dakota Big Horn. Want to know more? Text us at (913) 215-5243 to chat about this vehicle! Oakes Auto strives to bring you the lowest prices possible, not just in the Kansas City area, but the entire United States. With our laid-back, quick and pain-free sales process, our high standard of customer service and our many financing options, we know you will find Oakes Auto to be a welcome change from your past experiences. All of our vehicles are reconditioned at our state-of-the-art service center and undergo a multipoint inspection to confirm they meet our expectations for our customers. Kansas City: 7301 State Ave, Kansas City, KS 66112 (913) 222-5300.